We are a family-owned and operated business. 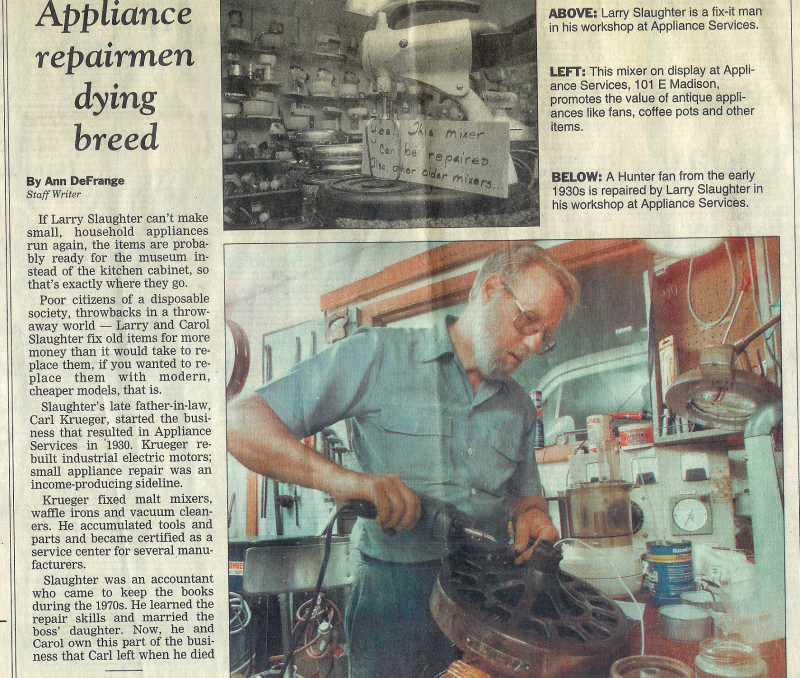 Our family has worked in the domestic and commercial appliance repair industry since the 1930s. As technology and times change, we have adjusted our business and services accordingly. With a greater variety in motorized products, including children's toys and healthcare devices, we have branched out to meet the needs of our community. And because we do have experience in fixing those "older" appliances, we have added restoration as part of our services. Copyright 2016 Appliance Services. All rights reserved.